Fire pit so that you can enjoy a nice fire by the beach, when permitted. Year after year, and decade after decade the Sea Edge Motel has families returning with 3rd and 4th generations to share the experience and unforgettable flavours of old world family time. Set upon a special blend of Mother nature's gifts, the Sea Edge Motel offers a unique beach front experience for all the generations of your family. Play, swim, hike and beach-comb by day, Bar-B-Que, share stories and toast marshmallows, while you count the stars during the magical experience of a beach fire at night. As a family owned and operated resort for more then 40 years we delight in creating a casual and cozy place for our guests cherished family memories. Indulge in relaxation by the Sea's edge with our warm, friendly ambiance. Each room at the Sea Edge Motel offers it's own panoramic, luxurious blend of beach, ocean, and mountain views, showcasing treasured memories to bond generations, experience your kids follow curiosity while exploring the beach or play wildly on beautiful ocean front lawns, right from your room! 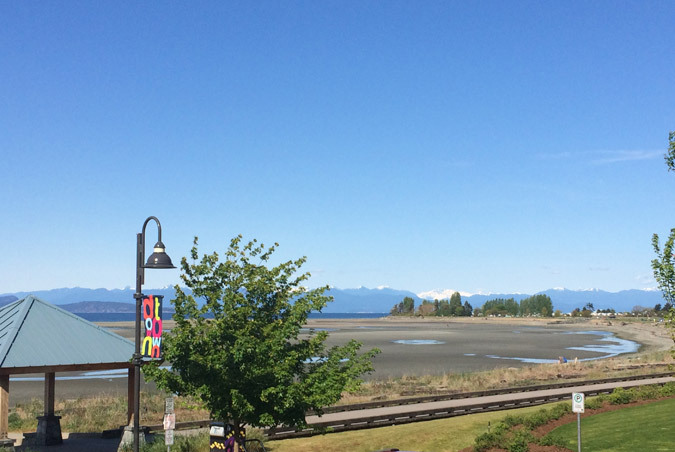 Located beach front in downtown Parksville, we offer one and two-bedroom kitchenette units on a daily or weekly basis, all with a full ocean view. Enjoy a west coast sunrise from your own private deck!